Video : Cards 4 Men Paper Piecing Images! Back today with the next installment in my Cards 4 Men series and I gotta say that when I make masculine cards I don’t usually tend towards paper piecing as a technique. But today I thought I would share just how you can make this work on a guys card. 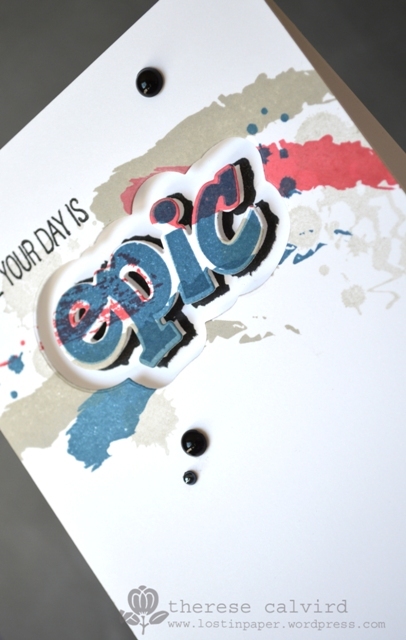 So happy to be stamping and playing with some fun goodies from MFT! I’ll be back again real soon, til then, hope you find some crafty time. Video : New ‘Cards 4 Men’ Series! Back with one of my fave series (and one of my fave ways to increase my masculine cards in my stash), and this time the focus is using ‘images’ on masculine cards! Today I thought I would start with this fun set from Waffle Flower called Tiger & Lily, and without further ado, let the series begin. Other Supplies: Copic Markers – 0. YG11. T0,2. R11,14. B01. It’s an Epic finish at Cards4Men (video)! Well…. 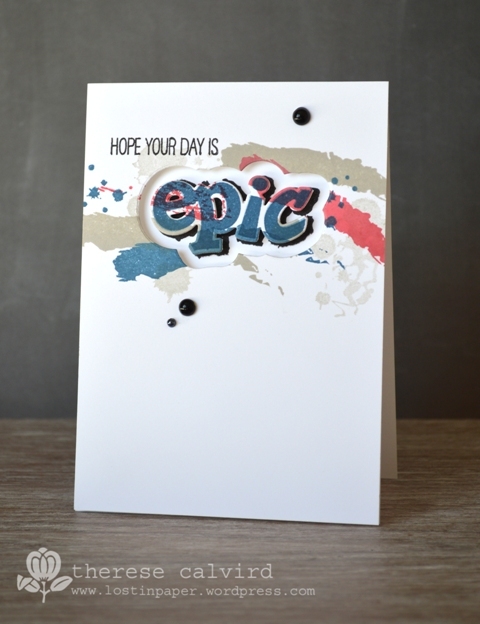 I’m using an Epic stamp set and die, does that count? What a fabulous masculine set from WPlus9, all the guess work it taken out of it, mix and match and have some fun, I love it! And look here, is that bling? 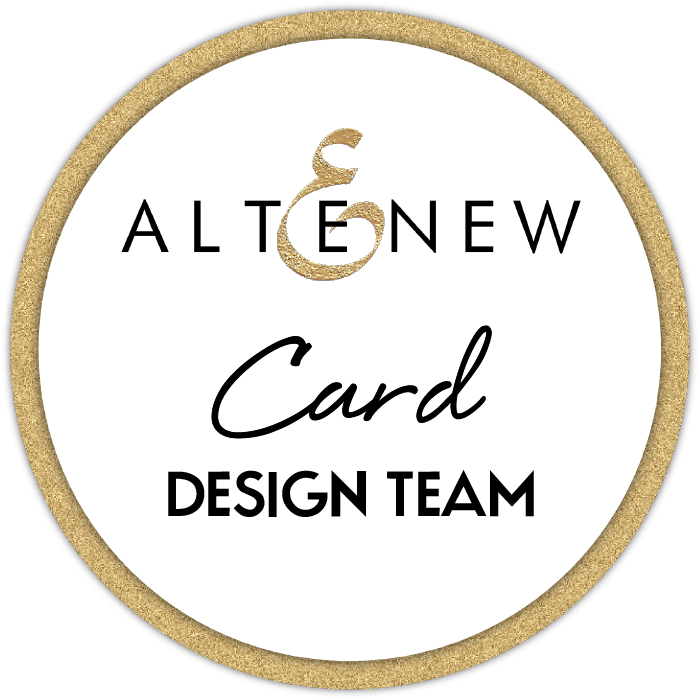 Cards4Men – Celebrate Colour Blocking (video)! Here is my next card in my Cards4Men mini series and like I’ve been saying it’s all about being bold and bright and cas…. 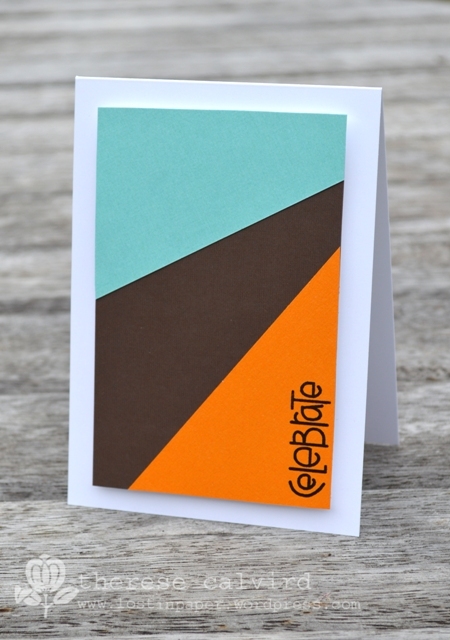 colour blocking is perfect on a masculine card and a great way to use up those scraps of cardstock (because you know if you use them up it means you can go shopping again, really!). I’ll be back… I promise! 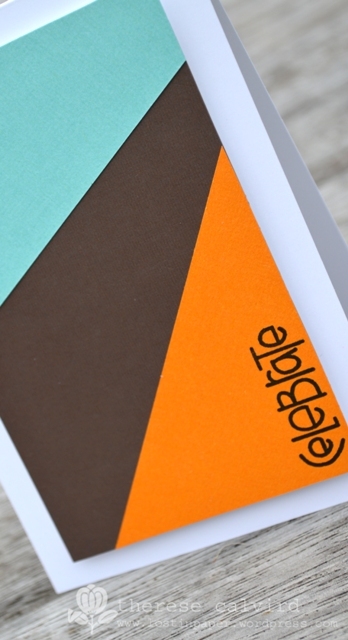 Other Supplies: Cardstock – Chocolate, Melon.